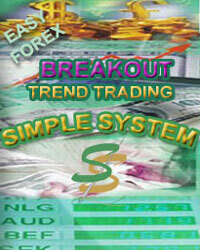 Get Cynthia’s Breakout Scalping Trade Manager EA for FREE! TO DOWNLOAD THE FREE TRADE MANAGER EA, FILL OUT THE FORM AT THE END OF THIS PAGE! Manual scalping in a fast 1 min, 5 min, 15 minute chart is fun, profitable and easy with Cynthia’s FREE Trade Manager EA! The Breakout Scalping Trade Manager EA manages my trade after I place it, with a 5 pip trailing stop after it moves the trade to breakeven. I use the Breakout Trade Manager EA with my Breakout Simple System with a 15 min chart open to see the major trend, a 5 min chart to identify the pullbacks, and the 1 min chart to get the best entries. Not into scalping? No problem! Just adjust the trailing stop to be more than 5 pips in the setting and then use higher time frames to trade with. The Trade Manager EA doesn’t place your stop, so you do have to manually place that order. I use an initial catastrophic stop of only 15 pips…because the EA will work without a stop and will place the stop for you when the price goes into profit 5 pips and then will trail 1 pip for every 5 pips of price movement. You can also place a large take profit if you desire. EX: “eurusd” is “eurusd.p” or “eurusdt”. Since I made this video, the Advanced Breakout Simple System has been updated to become the Xtra Advanced breakout Simple System, PLUS I’m no longer associated with the mentioned brokerages in the video. Even though I made some videos using the Breakout Scalping Trade Manager EA with my Breakout Simple System, the truth is that this Trade Manager EA will work with any trending trading system. If you are a scalper, once you experience trading with the Breakout Scalping EA, you’ll never want to scalp trade without it! Use it on all of your live accounts! You will LOVE the Breakout Scalping EA! FILL OUT THE FORM BELOW to get the Breakout Scalping Trade Manager EA for free.